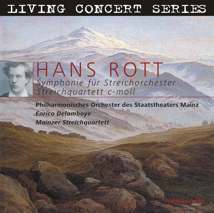 Hans Rott's String Quartet in c minor is available for some time now in an interpretation by the Mandelring Quartett recorded at the Gustav Mahler Music Weeks Toblach 2003. 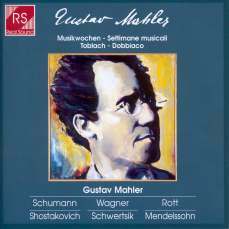 It's worthwhile buying it alone for the unique performance although it comes only in a CD Box of three CDs (along with works by Mahler, Wagner, Shostakovich and others). 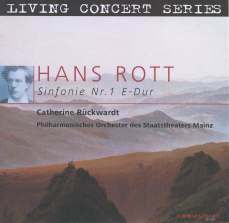 For details and purchase information see http://www.hans-rott.de/cdegmm03.htm. IHRG members can buy this CD box at a very favourable price; for details see the current issue of DIE QUARTE (see below). IHRG members can buy this CD, too, at a very favourable price; for details see the current issue of DIE QUARTE (see below).
" This Dig has been Worthwhile"
a) The membership fees have been reduced: As of now, full members pay an annual fee of just 30.00 Euro. Those who become a member still in this year will receive the annual gift 2004 with - among others - the Symphony for String Orchestra in A-flat major and the Prelude to "Julius Caesar". Both works have been recorded on the occasion of this year's world premieres of both works and will not be available anywhere else. Despite some technical shortcomings they are a very interesting alternative to those published or being published soon on commercial CDs. 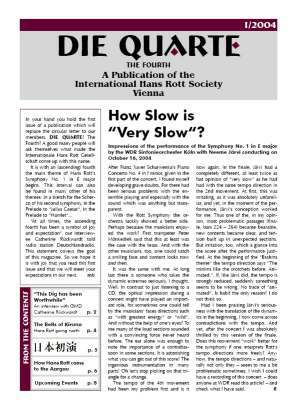 Members of the International Hans Rott Society will get the three recently published commercial Rott CDs at a considerably (20 % and more) reduced price. For details see DIE QUARTE. In the IHRG General Assembly on October 16, 2004 in Cologne, the Board had been re-elected for a second period: Dr Uwe Harten (Vienna), Erwin Horn (Würzburg), and Martin Brilla (Aachen). The Asian first performance of the Symphony No. 1 in E major in Tokyo in November 2004 by the Japan Philharmonic Orchestra with Ryusuke Numajiri conducting had been a surprisingly great success. A detailed report on the rehearsals and the performances you will read in the current issue and the next of DIE QUARTE. Also the five performances of the Symphony at the Philharmonie in Cologne/Germany (WDR Sinfonieorchester Köln with Neeme Järvi and the Gürzenich-Orchester with Sebastian Weigle conducting) had been a great success. Also in April 2005 the Swedish first performance of the Symphony for String Orchestra in A-flat major will take place. The same month will see another highlight: On April 12, 2005 the world premiere of the Suite in E major will take place in Hagen/Germany. The Philharmonisches Orchester Hagen with Antony Hermus conducting will perform it along with Gustav Mahler's Symphony No. 1 - an interesting combination, no doubt. More details and events you will find, as always, at www.hans-rott.de/whatson.htm. We wish all the subscribers of our newsletter a Happy New Year with many exciting musical events.